This pasta dish is a weeknight staple year round in my house. It is so simple and quick to throw together for dinner and to eat leftover throughout the week. It has become a favourite amongst family and friends! Cherry tomatoes get cooked down in the oven with some extra virgin olive oil, spices and garlic until they are bursting and incredibly sweet! A fresh spinach pesto adds a hearty dose of greens and healthy fats. Whats best is you can add almost any cooked vegetable (try eggplant, zucchini or steamed broccoli) and for you meat lovers, you can put in your favourite organic gluten free sausage. It is really versatile but most importantly SO delicious! 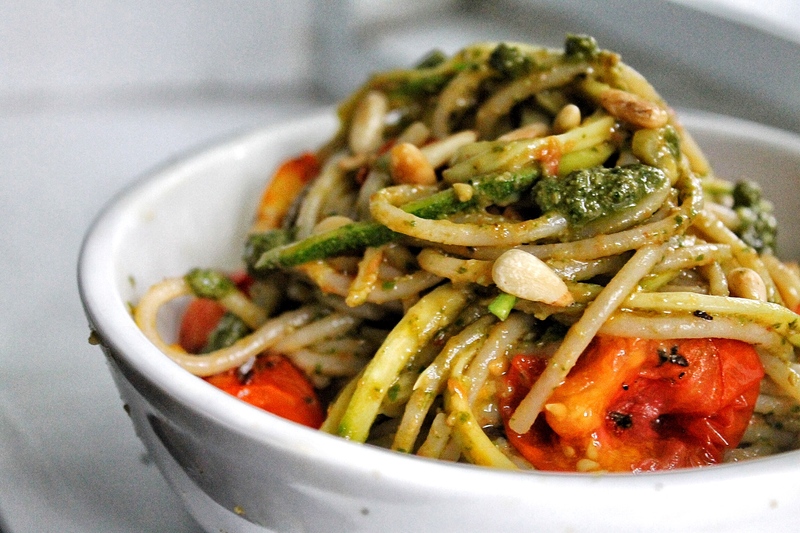 I use a mixture of zucchini noodles and brown rice noodles for this dish. Because it is vegan, having zucchini noodles on their own is often not filling enough. I also love using buckwheat or bean noodles for added protein. I hope you love this as much as I do! I’m off to Croatia, so I’ll be posting as soon as I return. Can’t wait to for new food inspiration. I’ll bring home as many recipes as I can! 2. 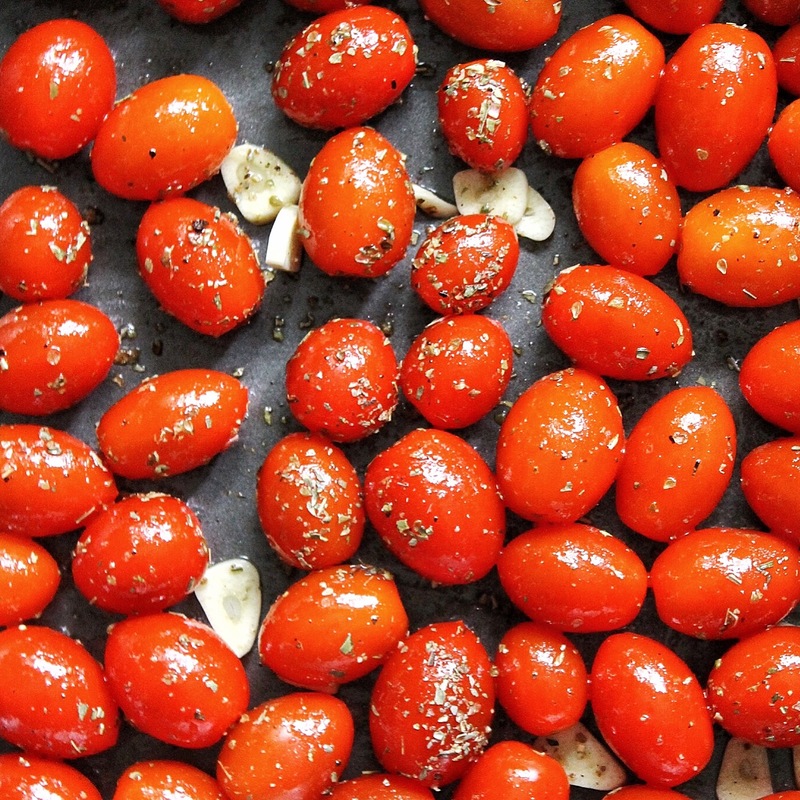 In a roasting pan, coat cherry tomatoes in olive oil, garlic, oregano, chilli flakes, salt and pepper. Allow to cook for an hour or until cooked down and bursting. 3. While the tomatoes are cooking toast your pine nuts in a dry sauce pan over medium heat until the oils begin to release. Set aside. 4. 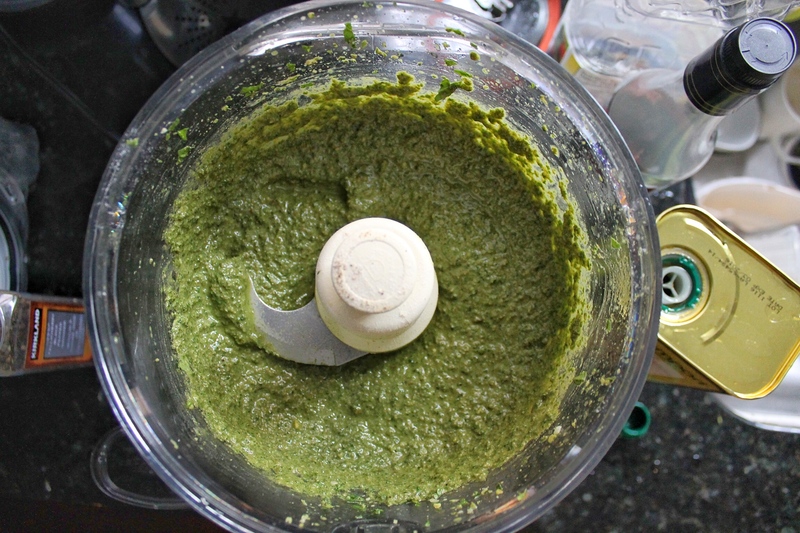 Prepare your pesto by adding basil, pine nuts, spinach, lemon juice, lemon zest, salt and garlic into the food processor container. Pulse until a paste forms. Slowly add in your olive oil while processing. Taste and season more if necessary. 5. When the tomatoes are almost finished cooking, cook your pasta according to directions. Drain and place back in the pot you cooked it in. 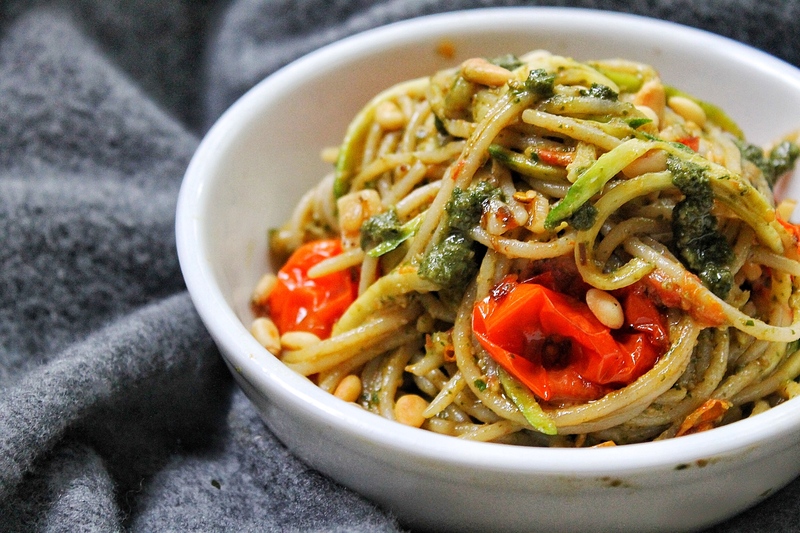 Over low heat, toss with zucchini noodles (optional), pesto (add it slowly, you may not need it all) and half of the tomatoes. Break into the tomatoes! You want the juice from the tomatoes to coat the noodles with the pesto. 6. Serve in a bowl. 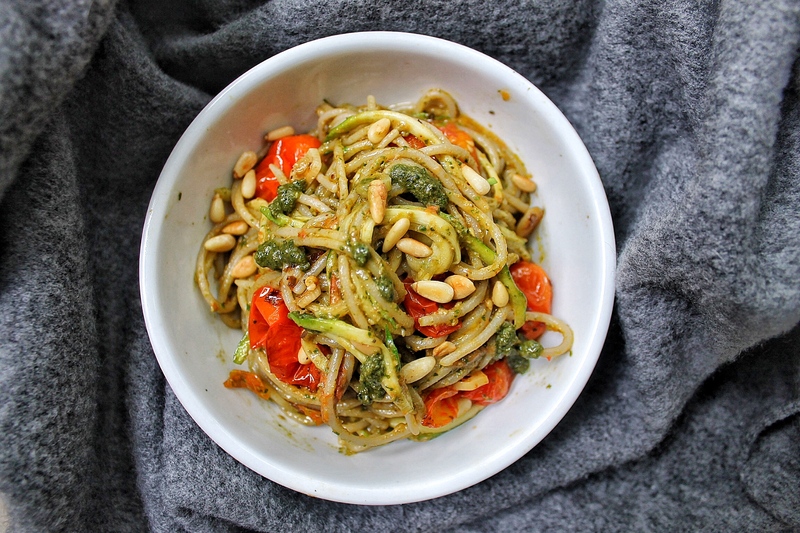 Garnish with more tomatoes, pine nuts and a spoonful of pesto. Bon appetit! 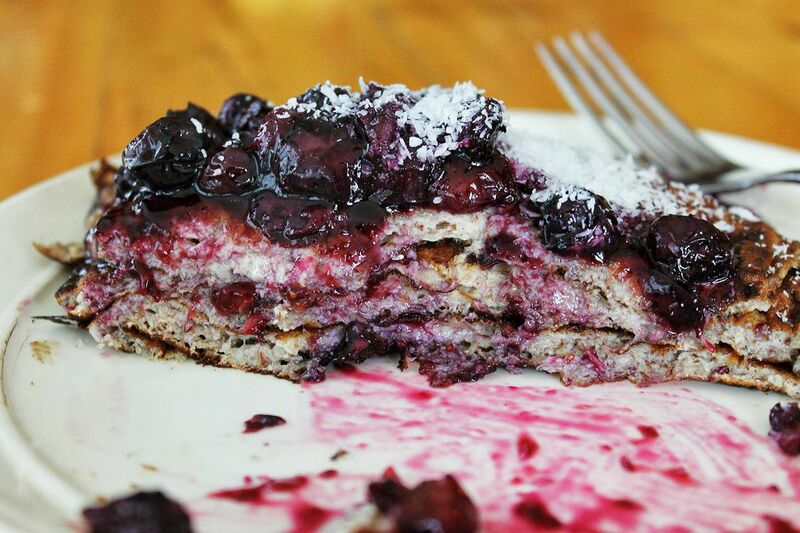 There are all kinds of pancake recipes I have made. 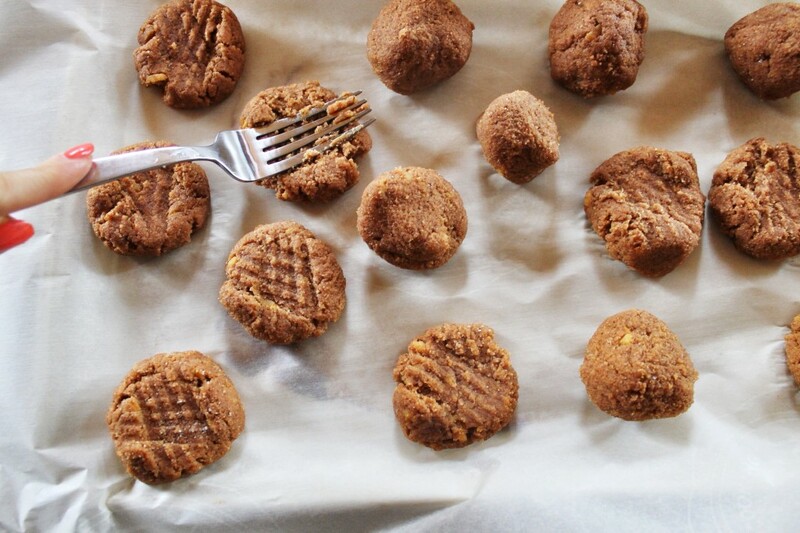 Buckwheat, almond flour, brown rice flour, protein powder etc.. 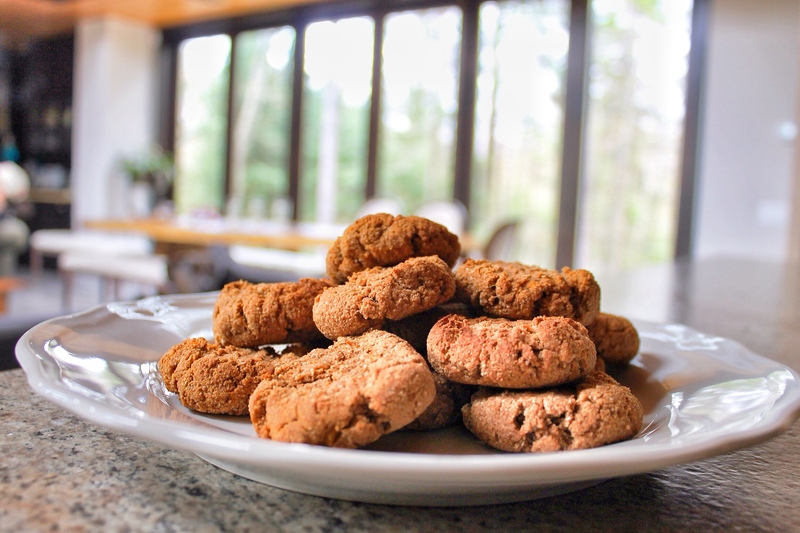 Eventually I will get all those recipes up on the blog, but I have decided to share the recipe I go back to time after time. 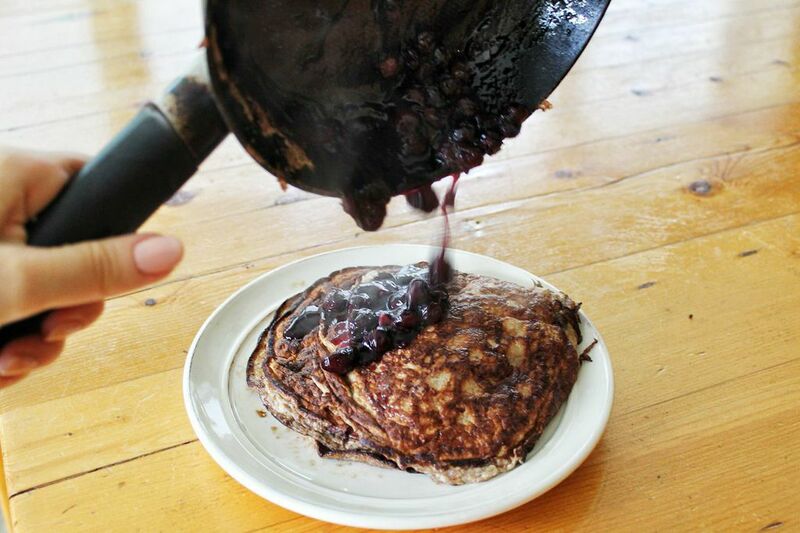 These super easy 4 ingredient pancakes are so incredibly filling without adding loads of unwanted ingredients. 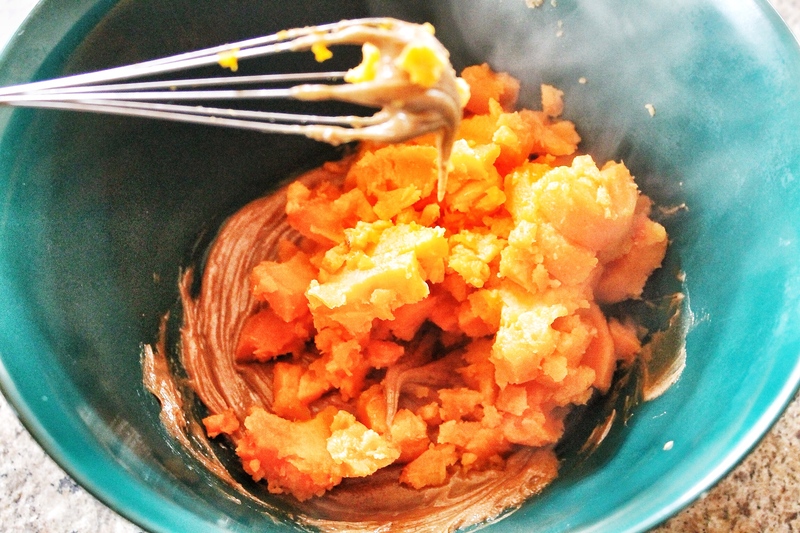 Plus, most of the ingredients are right in your pantry. You will get a good daily dose of omega 3s, protein (13g! ), vitamins, healthy fats, fiber and carbs that will keep you full until lunch. 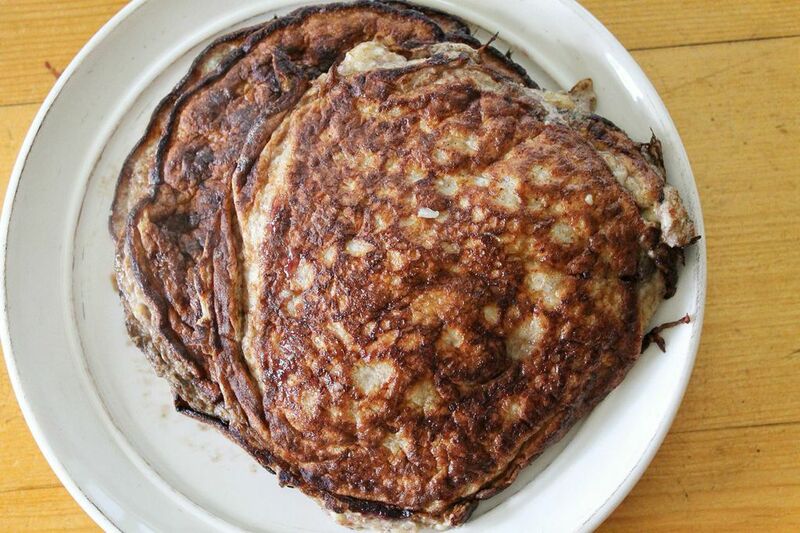 Although they aren’t always the most photogenic, these simple pancakes (you can even call them crepes) are so tasty. I don’t know about you, but I like A LOT of maple syrup on my pancakes. But like anything, moderation is key, so by adding some fresh blueberries I have found a way to extend the maple-y flavour. 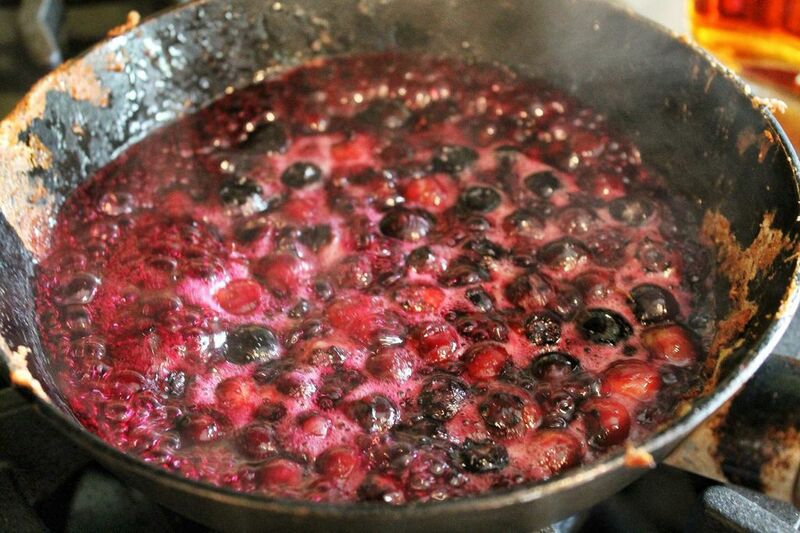 As the blueberries break down with the syrup in the saucepan, the mixture becomes thick and syrupy making that measly tablespoon of maple syrup last a lot longer! 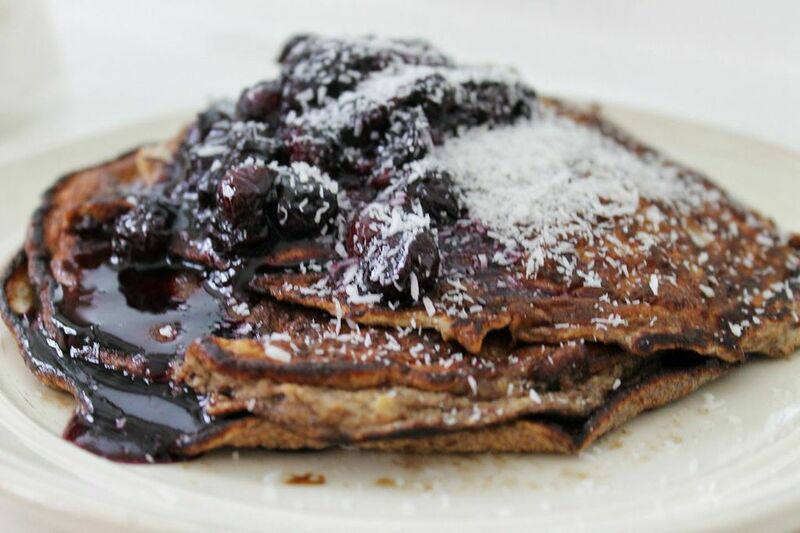 Plus it is an insanely delicious sweet topping that go great with the banana flavoured pancakes. 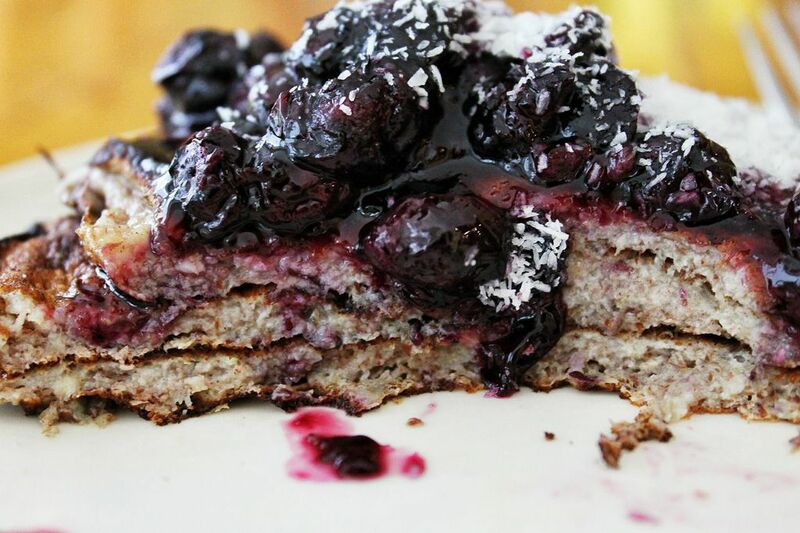 Add a little crunchy coconut or walnuts to make a perfect breakfast! 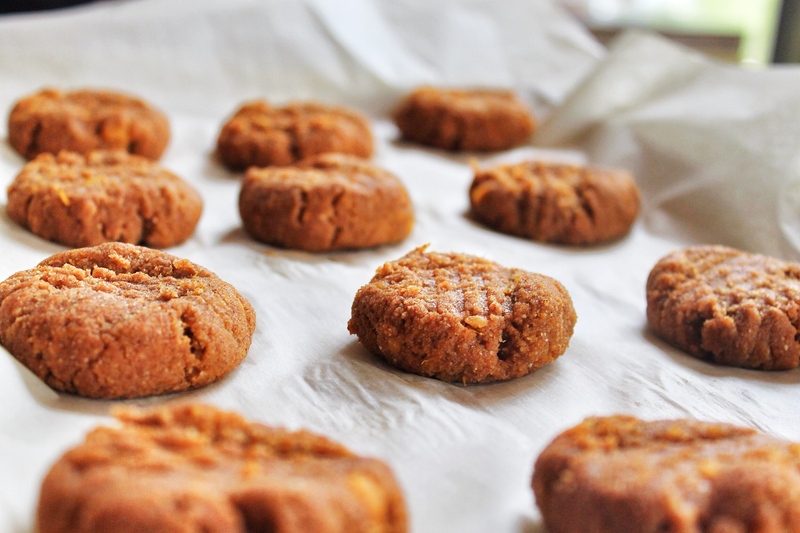 This recipe is free of refined sugar, gluten, dairy and is great for those watching their carb intake or who are following the paleo diet! Enjoy! If you have read my about section I talk about some of the digestive issues that I had been facing. Since cutting out gluten for good, I am happy to report that I have had NO heartburn, indigestion or acid reflux whatsoever and am off any medication. Although I am not back to my daily coffee routine (because I am no longer addicted) I do enjoy the occasional almond milk cappuccino! I also can enjoy a glass of wine without any discomfort which is amazing! From my own personal experience, it seems that wheat was the culprit of all my pain and discomfort. I have been feeling amazing since starting this new way of life and am constantly changing and adapting my diet based on how my stomach is feeling. Everyday is a new challenge and I am excited to share with you what I discover personally and through studying holistic nutrition. Stay tuned! 1. In a medium sized bowl, mash banana with a fork (or food process) until smooth. 2. 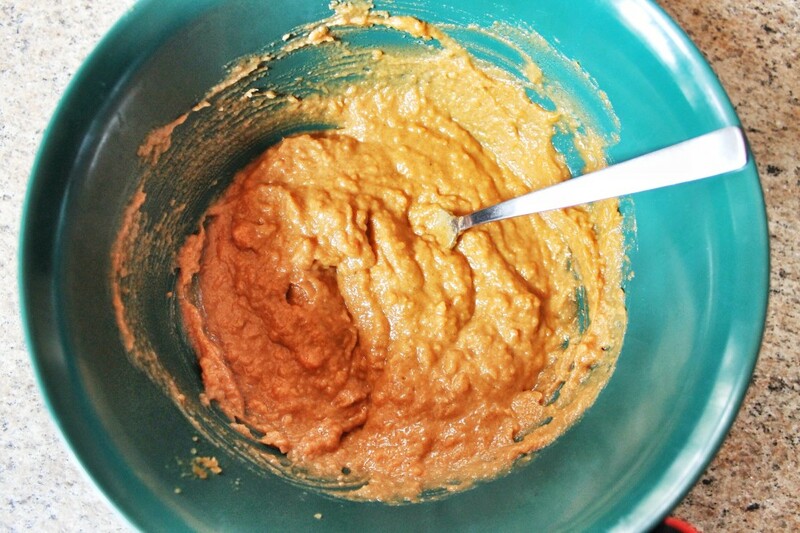 Add egg whites, flax seed, cinnamon, stevia and whisk until combined. 4. Heat coconut oil on medium high heat. 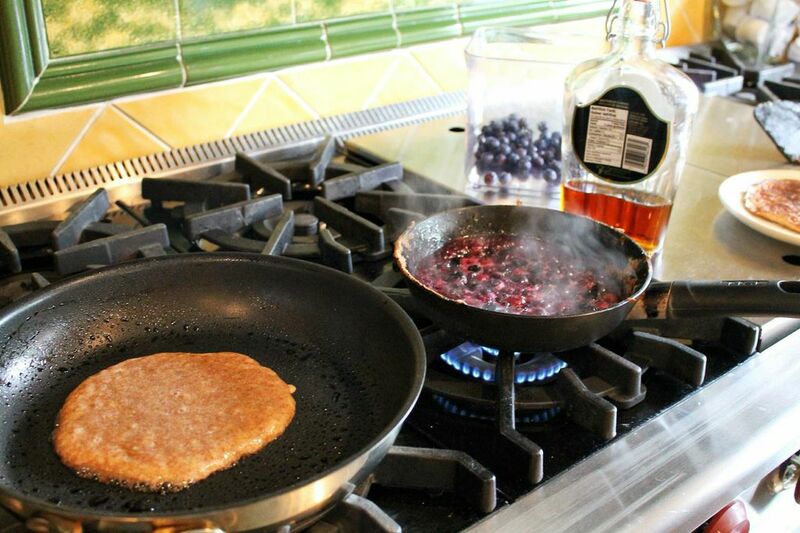 Using a ladle, spoon pancakes batter and fry for about 3 minutes or until bubbles form on top. Then flip! Top with syrup and enjoy!